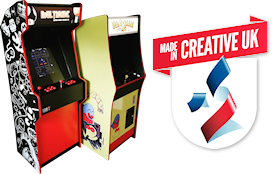 Arcade machines customised with your business branding. As our machines are all built to order, we offer a degree of customisation with both the cabinet shape/style and the painted (or vinyl) finish. 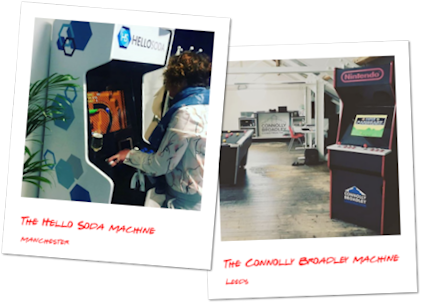 Our customised machines have found homes across the UK in pubs, clubs, offices and even a school. Let's face it, arcade machines are cool. They're the ultimate statment piece, whether in the office, at a company event or in a games room or den at home. We've supplied a school (for a use-of-technology project), small companies wanting to add the perfect finishing touch to the office and larger organisations wanting some entertainment for corporate parties. Machines can be adapted to incorporate extra equipment such as wine/beer coolers. Internal sections can be exposed or displayed behind protective acrylic. 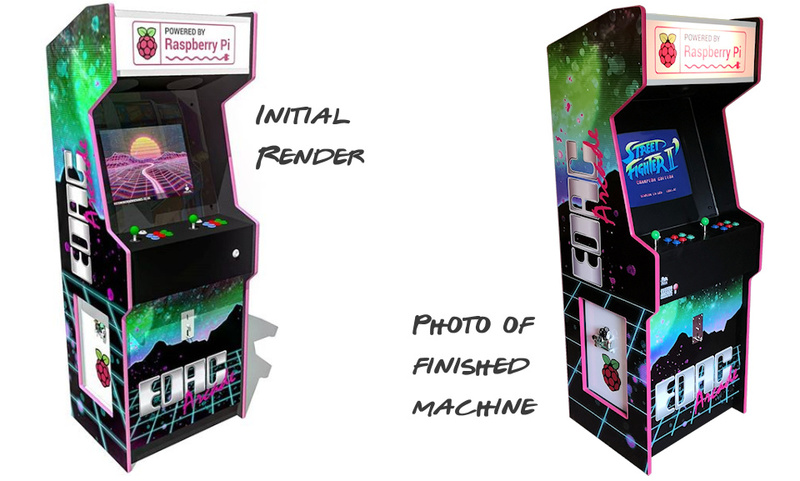 Machines can be customised to reflect branding or to match a preferred design so old gaming machines can be replicated and updated. Prices are as set for our standard machines with costs added for extras so our custom machines are more than affordable. Lead time for delivery is normally 2-4 weeks from final approval of the design. As you can see, our 3D renders are pretty accurate. What's more, we don't charge a penny for the design/consultation process and we always work to ensure the design and finished machine is spot on to requirements.